The South Koreans have taken over Toy Soul Hong Kong 2017! As the first day of Toy Soul finished collectors in Hong Kong got the chance to see 펑크버스터즈 PunkBusters Retro Punk Rock figures up close. 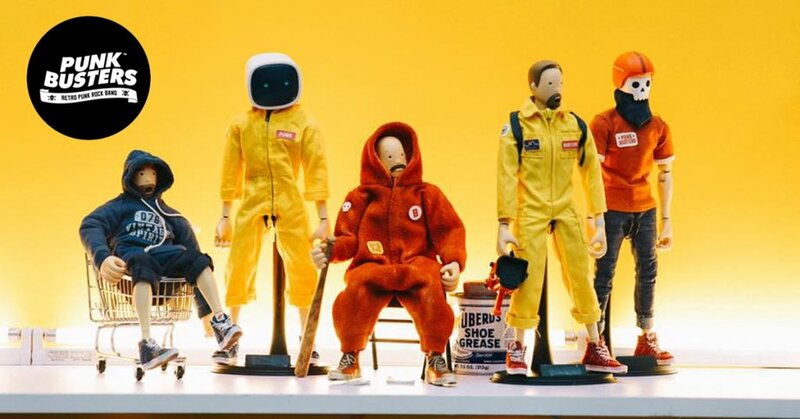 We’ve loved them since we first laid our eyes on them back in September and we are sure the collectors at Toy Soul would say the same. Like we said before HERE, Korean McBess with a touch of SML/Superfiction? Maybe not but ?????? – PunkBusters certainly caught our attention as we love McBess and SML/Superfiction plus the Punk Rock was the icing on top. Now with both action figures as well as resin art toy on the horizon we’re getting a little excited down below. Find them at TOYSOUL 2017 Trust us it is worth seeing the series in person. Right now they are in prototype stages and figuring out which direction to go with a full production. No ETA right now but stay tuned for further updates.